This 3 Star Hotel near the truck terminus is a business-class hotel. 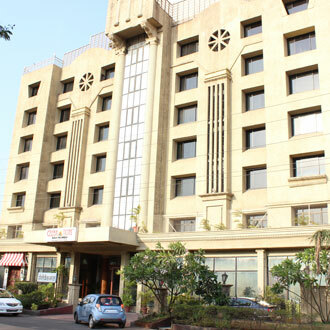 Its six floor structure has 64 centrally air-conditioned rooms. Business diners can enjoy a power lunch and relish multi-cuisine fare at the Celebrations Restaurant. A drink at the Tycoon Bar also sets the mood right for a relaxing evening. One can also lounge in the casual ambiance of the coffee shop, which is named Cascade. There are also two banquet halls for business as well as private events.